From the earliest of its history, chocolate has been tied to the value systems of the people that consumed it. As cacao products and recipes traveled around the world, the decorations and designs that people have chosen to use on containers give us insight into the value systems of their cultures. The Mayan drinking vase on display in the permanent collection of the Boston Museum of Fine Arts is an example of documentation of ceremony, politics, and the importance of chocolate in their society. Slightly larger than a modern quart jar, the drinking vase has a wrap-around visual narrative that details a ritual, specifically noting out that kakaw (cacao) was one of the stimulating substances used in this event. Our first pictorial record of the original bitter drink begins with the wealthiest of the Mayan society. These colorful jewels of Western Hemisphere art document the details about ritual life by describing events, attendees, and even the ingredients of the beverage. Documenting their religion and political record onto the containers from which they drank chocolate shows the importance of the beverage in their society. By the time the Spanish arrived, Aztec decorations were becoming less literal than the Mayans’ had been, and were more symbolic of the gods’ earthy powers. Geometric representation of forces such as lightening and serpents were replacing the drawings of the gods themselves. As colonization progressed, the strong geometric symbolism was married with the Spanich-Islamic influences and techniques–showing up in the hybridization of cuisines, ingredients (Lauden) as well as in the art motifs. The ultimate reason for the Spanish colonization the Americas was to extract the wealth from the natural resources of the new world. Although the Spanish government justified their version of slavery with the religious conversion of the Native Americans, in the end the colonization effort needed to be a wealth-producing enterprise. Along with agricultural products such as chocolate and sugar, metals were of great value in the European market. Native cultures shared the affinity for gold, silver and copper and used them as ornament and decorative items for the elite, but they had not perfected many techniques to create items for utilitarian purposes. The Spanish brought the knowledge of metallurgy which led to the local creation of copper chocolate pots for drink preparation. They also used silver to create handles and feet on the local cups made from coconut, literally wrapping the drink in wealth. Jícara such as this one from Peru uses the sgrafitto technique to create a delicate designs that bring to mind the Spanish homeland. The gourd-bowl shape has become synonymous with colorful, modern Mexican tourist-style pottery in the shape of flowerpots and salad bowls. Calabash gourds are still grown, dried, carved and sold today in the markets of Tabasco. Grown from a native American tree that is remarkably similar to cacao in habit and form–modern uses for the gourds can be anything from drinking, to measuring, to display. Few historic gourd relics remain, but those that do show a hybridization of Spanish, Moorish, and Meso-American styles, focusing on plantation life. Modern carved gourds sold to tourists still use the sgrafitto technique. The influence and pottery technology of the Olmecs had moved northward with trade routes to the Pueblo people. Gas chromatography analysis of North American artifacts has shown that long before the Aztecs had usurped the regional market on cacao, the trade routes of the Mayans had extended northward to canyons of New Mexico. (Mozdy) The Anasazi cultures created tall, vessels reminiscent of the Mayan vase shape, decorated with extremely stylized iconography that represented the common Meso-American pantheon. The best and most expensive chinoiserie hailed from Germany, where Johann Friedrich Böttger duplicated the art of Chinese fine porcelain making. Chocolate pots can be hard to spot, as they often hybridize these two forms–typically tall, but often bulbous. Early European chocolate pots most always have a removable finial to allow for a mixing stick to create the desired froth and keep the chocolate mixed. As cocoa powder was developed and cocoa preparations replaced true hot chocolate, the stirring stick went by the wayside, and chocotalière became nearly indistinguishable from coffee pots. The last distinguishing characteristic of a coffee pot was the internal strainer where the spout and body meet, and a spout that lowered over time. Drinking chocolate represented wealth, therefore decorations were those that affluent courtiers and nouveau-riche traders would value. Gone were the forces of Meso-American nature, or plantation life, and in came garden scene–often mimicking the exotic origins of the pot. Elaborately painted and gilt decorations brought the wealth of court on the surface of the chocolate pot. An 18th century fad called “Chinoiserie” depicted the European’s visions of Asian gardens with palm trees, umbrellas, and architecture that they imagined would be found in the gardens of the imperial court of China. As many of the traders were making fortunes off the new-found economy, the asian motifs became a temporary obsession throughout the continent and its colonies. Pottery for the middle class living in British colonies was most often imported from Staffordshire England. Extremely fine china rarely made it across the Atlantic during the colonial period. Chocolate drinkers in the British colonies of North America usually imported English middle-class pottery with basic garden motifs to take to their breakfast tables. Very little pottery was made in New England so imported china had a cache of wealth and the designs were reminiscent of the estate and gardens of England as colonists tried to keep up all the appearances of home. The wealthiest of families had their chocolate pots crafted by local silversmiths, and garnished with the family seal to tie their family names and crests directly with the wealth that the precious metal embodied. As solid chocolate became available and ubiquitous throughout western culture, the packaging of it has changed with the form, but the still conveyed the values of the local surroundings. To make chocolate appealing to a mass Victorian audience, purveyors wrapped it in the trappings of health and wholesomeness. As modern food science undermined the myth of “healthful chocolate” and the western world was coming out of a financial depression, the ideology of wealth returned. Silver wrappers, foil lettering on thick, glossy boxes, expansive packaging, and silky imagery are on all price-points of chocolate. Our favorite addiction is made more expensive by giving it the trappings of luxury: heart-shaped boxes and ribbons; gilded truffles and patisseries. Feeling rich makes many of us very happy. The fact that cacao is grown as a third world agricultural product, but consumed almost exclusively in comfortable homes of first world economies has been coming to the attention of consumers over the last half a century. For the socially conscious consumer–those whose values do not hold with personal indulgence without consideration to the cost to others and the planet–a whole new branding for chocolate has developed. These consumers feel better about buying chocolate that is emblazoned with the iconography of Fair Trade, organic, or direct trade certifications–even if the certification system is more of a seasonal band-aid than a true economic transformation. (Sylla) The sheer plethora of virtuous symbols appearing on labels in the chocolate isle work to the benefit of the marketing. The variety of symbols and levels of individual certification system adds layers of confusion to the real benefits. The level of confusion is so high, there is no way the average consumer can understand all the nuances and impacts. In the end buyers spend more for a product that has a “seal of approval,” and go on their merry way with the psychological satisfaction of having done something good for the “other.” They get to feel good without ever looking for any proof of the benefit these programs have on the lives of the farmers. Slapping a feel-good seal on a wrapper has become so successful as marketing, that major companies are eschewing certifications that are attached to bureaucratic oversight of bona fide good intent, and instead are working toward establishing their own brands’ seal of ethical approval and creating home-grown social initiatives that are much easier to operationalize and do not threaten profits in the way that transforming the cacao supply chain would. Adding these icons into the patchwork of other initiatives ensures that social initiative logos appear on more and more packaging. Buying products branded with one of the myriad of ethical icons assuages the consciences of most purchasers. (Martin) In this way, we ensure that imagery that conveys these values will keep on proliferating on the packaging of our chocolate. Brigden, Zachariah. Chocolate Pot. 1755. Silver. Boston Museum of Fine Arts, Boston, Massachusetts. Burt, Benjamin, and Nathaniel Hurd. Teapot. 1763. Silver. Boston Museum of Fine Arts, Boston, Massachusetts. “Crescentia cujete.” Wikipedia. Wikimedia Foundation, 03 Apr. 2017. Web. 07 May 2017. <https://en.wikipedia.org/wiki/Crescentia_cujete>. Coe, Sophie D., and Michael D. Coe. The True History of Chocolate. Third ed. New York: Thames and Hudson, 2013. Print. Eaton, William M. Odyssey of the Pueblo Indians: an introduction to Pueblo Indian petroglyphs, pictographs, and kiva art murals in the Southwest. Paducah, KY: Turner Pub., 1999. Print. Henderson, John S., et al. “Chemical and Archaeological Evidence for the Earliest Cacao Beverages.” Proceedings of the National Academy of Sciences, National Acad Sciences, 16 Nov. 2007, www.pnas.org/content/104/48/18937.full. Accessed 6 Mar. 2017. Presilla, Maricel E. The New Taste of Chocolate: A Cultural and Natural History of Cacao with Recipes. Revised ed., Berkeley, NY, Ten Speed Press, 2009. Martin, Carla D. “Alternative trade and virtuous localization/globalization.” 5 April 2017, Cambridge, Massachusetts, Chocolate, Culture, and the Politics of Food. “Metallurgy in pre-Columbian America.” Wikipedia. Wikimedia Foundation, 02 May 2017. Web. 07 May 2017. Mozdy, Michael. “Cacao in Chaco Canyon.” Natural History Museum of Utah, Natural History Museum of Utah, 4 Aug. 2017, nhmu.utah.edu/blog/2016/08/04/cacao-chaco-canyon. Accessed 6 Mar. 2017. Righthand, Jess. “A Brief History of the Chocolate Pot .” Smithsonian.com. The Smithsonian Institution, 13 Feb. 2005. Web. 23 Feb. 2017. <http://www.smithsonianmag.com/smithsonian-institution/brief-history-chocolate-pot-180954241/>. Rose, Mark. “Olmec People, Olmec Art.” Archeology. Archaeological Institute of America, n.d. Web. 23 Apr. 2017. Sylla, Ndongo Samba., and David Clément Leye. The fair trade scandal marketing poverty to benefit the rich. Athens, OH: Ohio U Press, 2014. Print. Unknown. Anasazi [Pueblo] pottery, Pueblo Bonito, Chaco Canyon, New Mexico, AMNH Digital Special Collections, accessed March 06, 2017, lbry-web-007.amnh.org/digital/items/show/38991. Unknown. Drinking Vase for “om kakaw”. Boston Museum of Fine Arts, Boston, Massachusetts, 2003. Unknown. Gourd (jicara) with red figures. Circa 1700. Lacquered Gourd. Fine Arts Museum of San Francisco, San Francisco, California. Unknown. Jícara. Boston Museum of Fine Arts, Boston, Massachusetts, 2003. Unless otherwise noted, drawings and photographs are works of the author and images may not be reused without attribution. The Cacao Market was established on the backs’ of slaves, and to this day, the injustices from its origins have continued to haunt the Cacao-Chocolate Supply Chain. With the abolishment of legal slavery in the Cacao Trade, there was indeed hope that the “Free” Market would correct some of the rampant inequalities that existed between cacao producers (farmers) and chocolate suppliers (companies). Unfortunately, economics has allowed an oligopoly to form: Big Chocolate Companies control the majority of the cacao market. These companies have the power to collude and have outsourced the production of cacao almost entirely away from South America, where cacao originated, to West Africa, where labor is much cheaper and the use of modern day slaves is not uncommon. Fortunately, there is a small group of chocolate companies that are working towards correcting the market inequalities that have become the norm in the last century, and this small group is composed is the collection of bean-to-bar chocolate companies that use Direct Trade practices. Bean-to-bar chocolate companies, and specifically, Taza Chocolate, employ unconventional business operations, in what is known as Direct Trade, in order to benefit cacao producers (the supply side of the market), by paying a premium for cacao beans and ensuring that ethical standards in production are met (e.g. no slave labor), while also benefitting chocolate consumers (the demand side of the market), by providing the public with a more rich kind of chocolate. The issues in the cacao market are twofold: an issue of economic inequality, and as a derivative of the economic problem, the issue of unsanctioned slavery. The economic issue has developed due to the oligopoly in the cacao market, and this oligopoly has resulted in Chocolate suppliers having the ability to unfairly set prices below the market equilibrium. Slavery occurs due to the need for uncompensated labor since most cacao producers cannot make a predictable living income. For example, cacao farmers in Ghana typically receive less than $1 per day, and sometimes, these farmers receive as little as $0.50 per day. (Martin, 2017). Since the issue of unsanctioned slavery is a derivative of the economic problem, the economic problem must be solved before slavery is addressed. How did this Economic Problem happen? 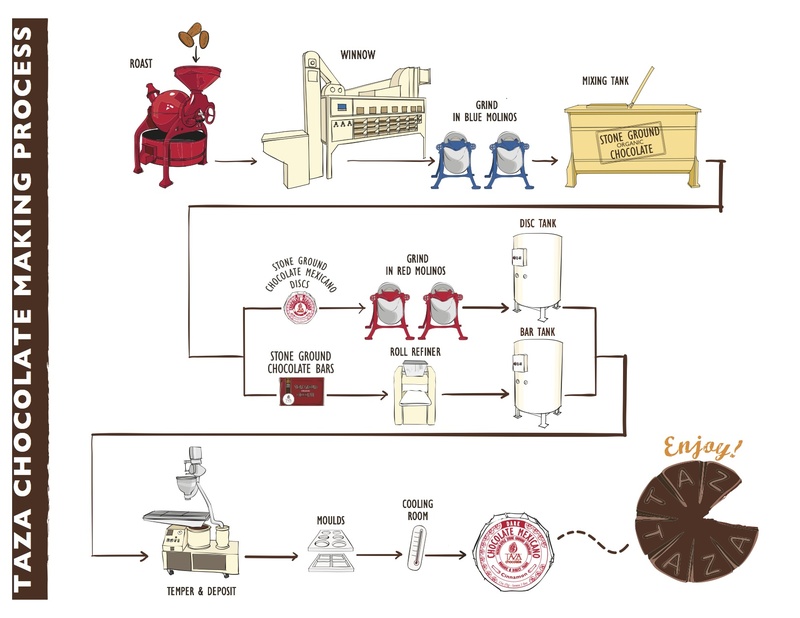 As it can be interpreted from the graph, chocolate making is a very complicated process and involves expensive machinery. Since only a handful of firms were able to afford this machinery, those companies quickly rose to dominate the market. These Big Chocolate Companies that quickly rose to the top (Callebaut, Cargill, Blommer, and Cemoi), have come to control over 50% of the industrial chocolate market share, as outlined in the pie chart below. To have an understanding of the size of the companies: Cargill is the largest privately held company in America and had over $120 Billion in revenue for the year 2016 (Forbes). If Cargill was a publicly traded company, it would rank as Number 15 on the Fortune 500 list (Fortune). In emerging industries, such as the chocolate industry in the late 19th Century, it is not uncommon for a monopoly or oligopoly to arise. The problem, from an economic standpoint, only occurs when a monopoly or oligopoly persists over time. Why has the Oligopoly Persisted? Most modern oligopolies form during the infant years of a new market that possesses high barriers of entry. Unless the oligopoly has a unique limited resource or is protected by the government, the oligopoly will usually be broken apart as technological advancements allow new firms to enter with lower barriers. However, in the market for chocolate, Big Chocolate has been able to maintain their power through the purchases bulk beans, which “account for more than 90 percent of the world’s cacao production” (Presilla 123). “Bulk cacao” refers to the practice of aggregating cheap, low-quality cacao beans from various farmers, which Big Chocolate companies use in order to produce more chocolate at once. Africa produces 75% of the world’s cacao, and almost all of this cacao is in the form of bulk beans (Martin, 2017). Bulk cacao has become the most common form of cacao because it is what almost every major chocolate company chooses to purchase, and the sale of bulk cacao has allowed various middlemen and governments to unjustly benefit from the labor of the cacao farmers. Removing these middlemen would allow cacao producers to sell more pure, high-quality beans, make it easier to increase the wages of cacao farmers, and eliminate slavery from the market. The best way to remove these middlemen is by increasing public awareness of the ethical issues that are supported by Big Chocolate Companies, and also increasing public awareness to the bean-to-bar chocolate companies that have started to emerge. By increasing public awareness, more consumers will make the switch from big brand chocolate to the smaller, bean-to-bar companies. If enough people switch to supporting bean-to-bar over Big Chocolate (including whoever is reading this post), then the companies that support ethical practices will become more profitable, and expand through the marketplace, and the companies that directly or indirectly support unethical practices will become unprofitable, and thus be removed from the marketplace. Bean-to-bar chocolate companies are those that make chocolate completely in-house, as opposed to the Big Chocolate Companies which buy bulk cacao. Bean-to-bar companies are more likely to use high-quality cacao beans since it is common for bulk cacao to be composed of overly roasted and even rotten beans (Presilla, 2009). The best bean-to-bar companies are those that engage in a form of Direct Trade with cacao farmers, and although a Fair Trade Certification is better than no certification at all, Fair Trade is somewhat a misnomer as the non-profit does little to increase the welfare of farmers. The video paints Fair Trade in a very decent manner, especially considering the high amounts of criticism that Fair Trade has received in recent years. An entire book has even been written on the issues with Fair Trade (The Fair Trade Scandal: Marketing Poverty to Benefit the Rich by Ndongo Sylla). Overall, the consensus is that companies with Direct Trade practices can be more beneficial to cacao farmers than companies with Fair Trade certifications. Taza Chocolate’s Direct Trade practices have become so transparent that consumers can actually see how cacao farmers benefit by working with Taza Chocolate. For this reason, Taza Chocolate should either expand to work with even more farmers or other bean-to-bar companies should aim to achieve Taza Chocolate Direct Trade Certification in their own practices. Both of these options are viable possibilities if more consumers make the switch from big chocolate to bean-to-bar. Taza has “said no to predatory middlemen and abusive labor practices” (Taza) by following Direct Trade practices. It is clear that Taza does not support the unethical practices that are normal in the cacao industry, but what is amazing is how all of the economic and ethical problems of the cacao industry could be solved if all companies had a Taza Direct Trade Certification. There are many different types of middlemen in the cacao industry, some of these go by the name of “cacao brokers”, but another kind of middlemen is the governments themselves. Some governments have prevented the oligopoly, and thus the issue of slavery, to be solved by economic markets. For example, Ghana’s government requires all cacao to be sold to the Cocoa Marketing Board, which acts a monopoly in the marketplace. By removing these middlemen, the price of cacao beans, and thus the income of cacao farmers, can increase substantially. 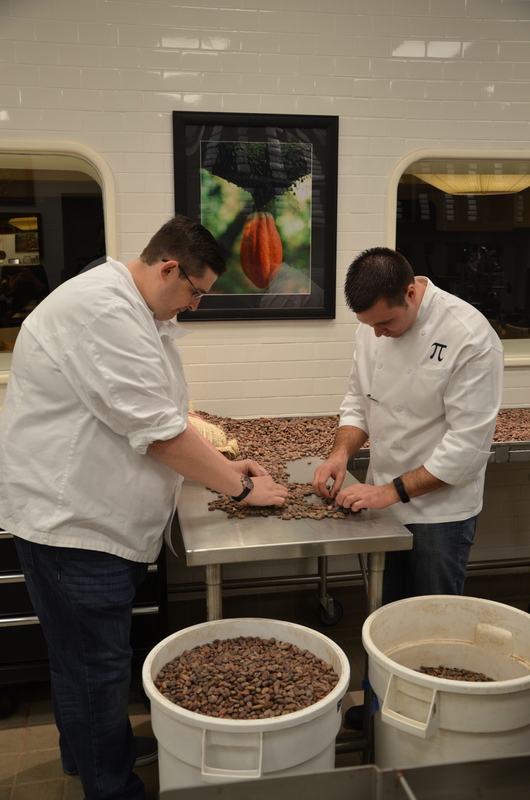 Taza Chocolate’s Direct Trade initiative purchases cacao beans directly from farmers. Working directly with farmers allows for farmers to focus on the quality of their beans instead of the quantity that is required to make a living in a market that favors the use of bulk beans. If all companies had Taza Direct Trade Certifications, then all middlemen would be removed and cacao farmers would make more money. Slavery in the cacao market is sometimes simplified to one or two primary beliefs: either adult cacao farmers are exploiting children by the use of slave labor or adult cacao farmers are using slave labor because they are being exploited by the low market prices and their governments. Unfortunately, the problem is not that simple: a hybrid of both beliefs is correct. At the community level, some cultures view child labor as acceptable. In Ghana specifically, scholars write, “child labour is very much imbedded (sic) in the socio-local dynamics of Ghanaian society” (Berlan 1098). This may be true, and the belief that “it is hard to implement a slavery-free label for cocoa” (Ryan 52) may have also been true at a point in time, but this could all be changed with Direct Trade practices. If all companies had a Taza Chocolate Direct Trade Certification, then all companies would be working directly with farmers, and thus, companies could educate farmers as to why child and slave labor is unethical. In the interim, a “slavery-free label for cocao” can now exist, and with enough training at the microeconomic level, cacao farmers in Western Africa could eliminate the use of all child and slave labor. This would also now be a very realistic option since the increase in prices (by cutting out the middlemen) would allow for slave labor to no longer be a necessity in the industry. In summary, the cacao industry has been plagued by inequalities ever since the Western World found chocolate. The inequalities started with legal slave labor, and slave labor, albeit illegal, is still seen throughout some parts of the cacao industry. The reason as to why these inequalities are still prevalent is the economic market has failed to provide a competitive environment. Through public education, the market can be corrected with consumers choosing their chocolates more carefully so that Direct Trade practices become the norm for chocolate companies. Taza Chocolate has created a Direct Trade Certification which increases the wages of cacao farmers and eliminates slavery, and every chocolate company should have this certification. Martin, Carla. Class: African Americans Studies 119x (2017) at Harvard College. PBS Food. “Fair Trade vs. Direct Trade | The Lexicon of Sustainability | PBS Food.” YouTube. YouTube, 08 May 2014. Web. 05 May 2017. Presilla, Maricel E. The New Taste of Chocolate: A Cultural & Natural History of Cacao with Recipes. Revised Edition. Berkley: Ten Speed Press, 2009. Print. Ryan, Orla. Chocolate Nations: Living and Dying for Cocoa in West Africa. London: Zed, 2012. Print. Sylla, Ndongo Samba. The Fair Trade Scandal Marketing Poverty to Benefit the Rich. Athens, OH: Ohio UP, 2014. Print. When someone says “direct trade”, we’re inclined to think “ethical practices” and, in the context of our class, “Taza Chocolate”. Generally, direct trade in the chocolate industry is a form of sourcing where companies work directly with the farmers who provide their cacao, often paying above market price (Martin, Lecture 10). However, it is important to note that direct trade can serve purposes beyond fostering communication within the supply chain or paying farmers higher wages. By contrasting Taza Chocolate with TCHO, pronounced “choh”, I hope to demonstrate direct trade’s evolving applications. Instead of emphasizing direct trade as a platform to promote ethical practices, as Taza does, TCHO focuses on the role of technology to empower their farmers to improve their product’s taste. Although TCHO and Taza are both companies striving to change the way chocolate is made, they utilize direct trade in vastly different ways, signaling that there is not yet an industry-wide interpretation of what direct trade means. As background, Taza Chocolate was founded in 2005 by Alex Whitmore and Kathleen Fulton after a trip to Oaxaca, Mexico (About Taza, 2015). 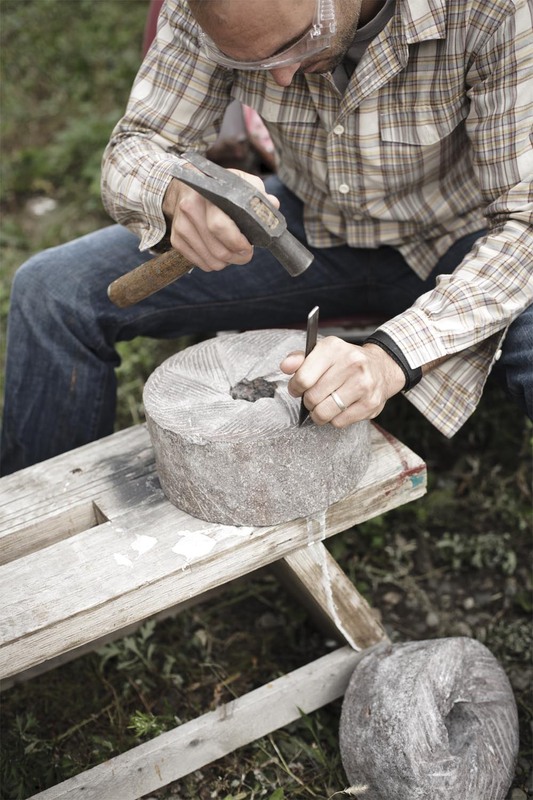 Whitmore loved the traditional stone ground chocolate he had tried on the trip and decided to start Taza with his wife, Fulton, as a way to bring this style of chocolate to the United States (About Taza, 2015). Today, their chocolate is known for its minimal processing, use of traditional Mexican stone mills, and gritty, unrefined texture (About Taza, 2015). Below is a video produced by Taza detailing their unique chocolate process. Whitmore and Fulton opened the Taza factory, seen in the video above, in Somerville, MA in 2006 and continue to operate from this location today (About Taza, 2015). 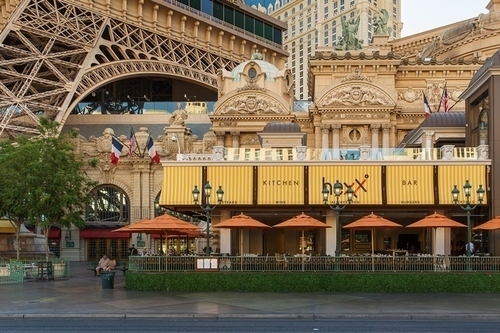 Their products can be found across the United States, most notably in Whole Foods. 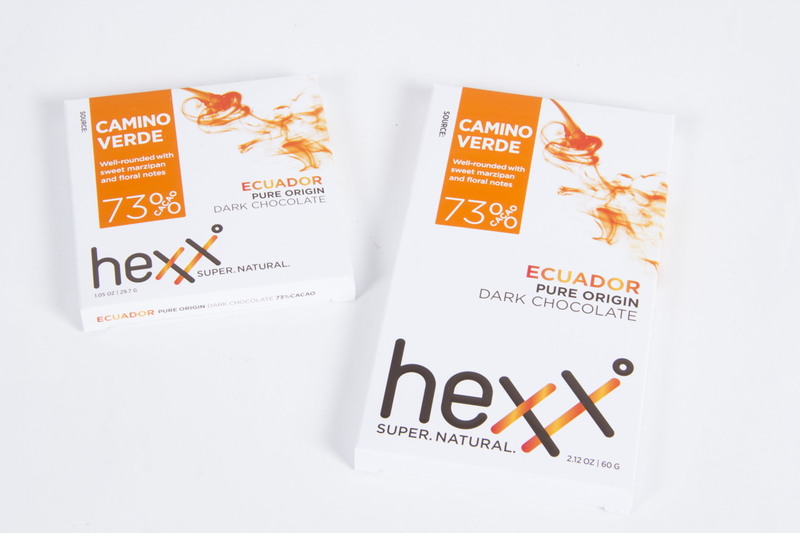 Overall, the company has three main aims: 1) produce a unique tasting stone ground chocolate, 2) promote ethical cacao sourcing through direct trade, and 3) create a certification for direct trade that can be used throughout the chocolate industry. 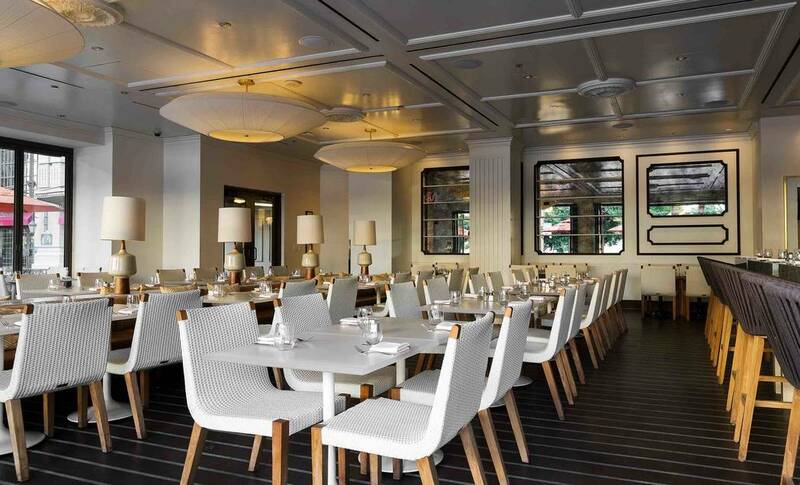 In contrast, TCHO is much less about a founding story and much more about their business model. In fact, they are so much less about how they were founded, that you have to look at the third to last question on the bottom of their FAQ page to figure out who founded TCHO. 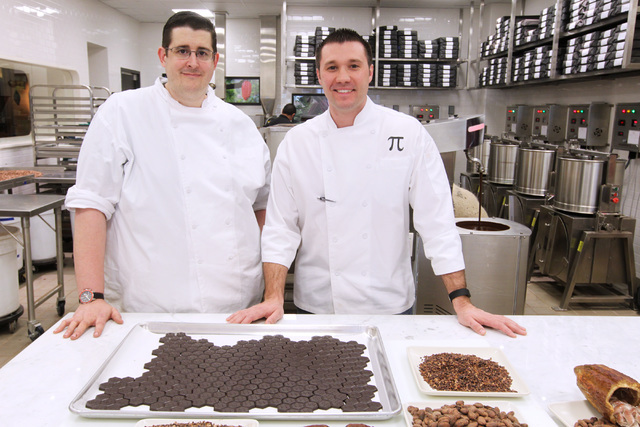 Here, you will find that they were founded by Timothy Childs, a NASA space shuttle contractor, and Karl Bittong, a 40-year chocolate industry veteran, in 2005 (FAQ, 2017). They are based in the San Francisco Bay Area and are self-described as a “Silicon Valley start-up meets San Francisco food culture” (Our Vision, 2017). Below is a video produced by TCHO that gives a brief overview of their company. TCHO produces high-end chocolate centered on the flavor of the cacao it comes from. Rather than focusing on the percentages of cocoa in each bar, TCHO creates dark chocolates based on cacao flavor profiles (Our Vision, 2017). TCHO believes that its chocolate is bringing to life terroir, or the characteristics imparted on cacao by where it is grown, similar to how terroir is used with fine wines (Nesto, 135). For example, its “Fruity” chocolate is single source from Peru, its “Citrus” bar from Madagascar, its “Chocolatey” bar from Ghana, and its “Nutty” bar from Ecuador (FAQ, 2017). TCHO wants to educate its consumers on how to taste chocolate with emphasis on how cacao can impart such differing flavors. TCHO even put together an interactive taste wheel for its consumers to understand TCHO’s thought process when making each bar. In comparison to Taza, TCHO’s process, while important, is not their proudest achievement; rather, it is the high-quality beans they source from across the world. Like Taza, their products can be found throughout the United Sates, most notably in Whole Foods, Wegmans, and on private label at Starbucks (FAQ, 2017). Overall, TCHO has three aims: 1) create products that cultivate the terroir of cacao beans, 2) use direct trade to help farmers improve their product, and 3) employ technology every step of the way. 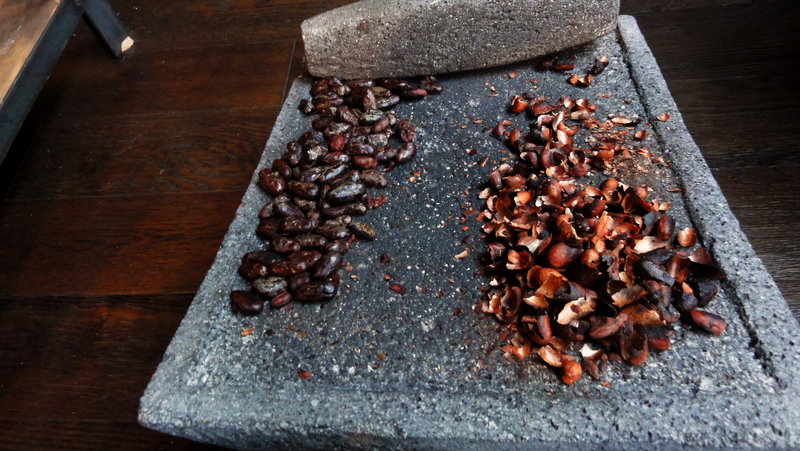 The clear commonality between Taza and TCHO is that they both utilize direct trade to source their cacao beans. However, how they advertise and promote their direct trade methods are significantly different. For example, Taza’s emphasis is on constructing a uniformly accepted definition of direct trade for the chocolate industry. In fact, they created the first direct trade certification program for the industry, Taza Direct Trade, that they certify all their products with (Taza Direct Trade, 2015). The Taza Direct Trade program calls for 5 commitments including, 1) develop direct relationships with cacao farmers, 2) pay a price premium to cacao producers, 3) source the highest quality cacao beans, 4) require USDA certified organic cacao, and 5) publish an annual transparency report (Taza Direct Trade, 2015). More details on these commitments can be found here. Overall, these commitments hit all the key tenets of direct trade; however, they are vague, incomplete, and, in effect, don’t do enough to prove ethical practices. This isn’t to say that Taza doesn’t have an ethical sourcing program, only that Taza Direct Trade is not a foolproof certification program. For example, how does one define “develop direct relationships with cacao farmers”? For Taza Direct Trade, this means that company staff must visit their farmers at least once per year and provide flight receipts of these trips (Taza Direct Trade, 2015). But, does this really mean that a company has good relationships with their farmers? Providing flight receipts isn’t a personal or appropriate indicator of productive relationships like, for example, feedback or comments from the farmers themselves would be. Taza, as a certified Taza Direct Trade company, makes up for this by detailing their trips and relationships with their farmers in their transparency reports, but it is unclear if other companies certified under Taza Direct Trade would go through the same effort. Similarly, what does “source the highest quality cacao beans” mean? As Taza Direct Trade explains, their requirement is that the beans have an 85% fermentation rate or more and are dried to 7% moisture or less (Taza Direct Trade, 2015). While these are important factors, they aren’t sufficient measures for high-quality cacao as they miss other crucial aspects such as growing conditions, pH levels during fermentation, or sorting efficiency (Martin, Lecture 4). Again, this isn’t to say that Taza’s cacao isn’t high-quality, only that Taza Direct Trade does not have a stringent enough standard. However, Taza Direct Trade does make a significant contribution to defining direct trade with its transparency report requirement. Direct trade is all about companies being personally involved in every step of the supply chain. Because of this, physical requirements, like providing flight receipts, to detail personal relationships are not adequate. As alluded to before, the transparency report allows companies more creativity and flexibility in showing consumers these relationships. Taza’s transparency report from 2016 does an excellent job of illustrating this point. By using personal details and compelling stories, this report clearly demonstrates that Taza has direct relationships with each of their farmers. While I am convinced Taza is a direct trade company, I am not convinced Taza Direct Trade is the right certification for direct trade. In fact, a traditional certification may not be appropriate for direct trade right now at all. Because of direct trade’s emphasis on company built supply chains, it appears that company communication, like Taza’s transparency report, is really the most effective means to prove direct trade. In contrast to Fair Trade, where companies aren’t involved in every part of the supply chain, certification can be useful because it signals to companies that a certain level of quality is ensured with their cacao providers (Martin, Lecture 10). Because direct trade companies are active with all their suppliers, they are personally ensuring quality. In this sense, direct trade companies should focus on demonstrating their relationships with their farmers to their consumers, like with Taza’s transparency report, rather than seeking a uniform certification. A vague list of commitments can be applied to direct trade companies, but it doesn’t follow the essence of direct trade. TCHO just does this with its commitment to direct trade, “individuals and companies have the power and responsibility to act directly to make a better world, not just buy a logo” (TCHOSource, 2017). TCHO makes it clear that they participate in direct trade not only because it is ethical, as Taza does, but because it is a mutually beneficial system for them (TCHOSource, 2017). Unlike Taza, TCHO details not only their relationships with each farmer, but the ways in which they help each farmer to produce a higher quality product. Whereas Taza pays a premium price to farmers because it is part of their ethical commitment with Taza Direct Trade, TCHO pays farmers more because they produce a certifiably higher-quality product that garners the price premium. Key to TCHO’s mutually beneficial relationship with their farmers is their use of Flavor Labs. Because TCHO’s chocolate is produced to capture the natural flavor of cacao, TCHO buys cacao with the best natural flavor. 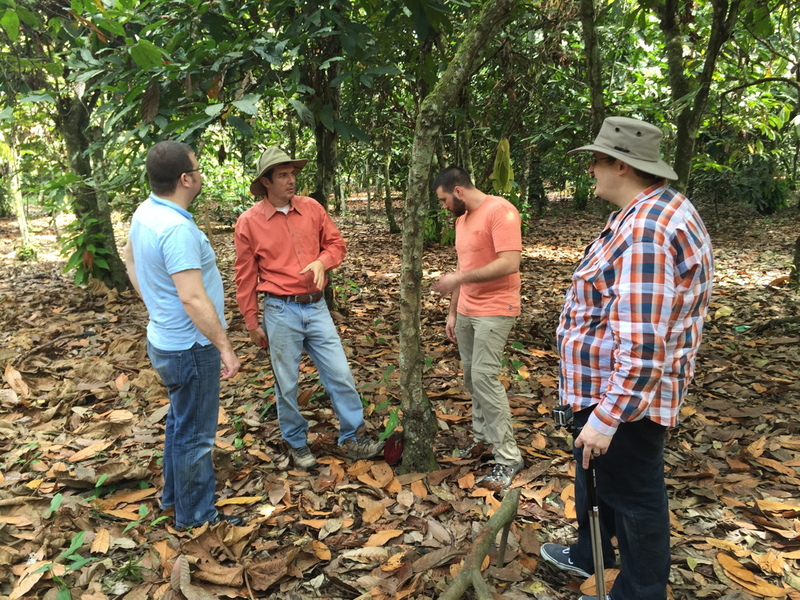 But, to do this, they need farmers to understand what these natural cacao flavors are. However, cacao farmers have often never tasted chocolate (Off, 7). To train their farmers, TCHO installs Flavor Labs, 10 across the world so far, where farmers can make small batches of chocolate from their own cacao to learn the flavor profile of their beans (TCHOSource 2017). By understanding how to taste chocolate and cacao, farmers learn the lexicon essential to talk about the quality of their product (Stuckey, 140). Because farmers have the knowledge to understand the goals for their cacao, like “fruity” or “nutty”, they can actively work to create a higher-quality product themselves. 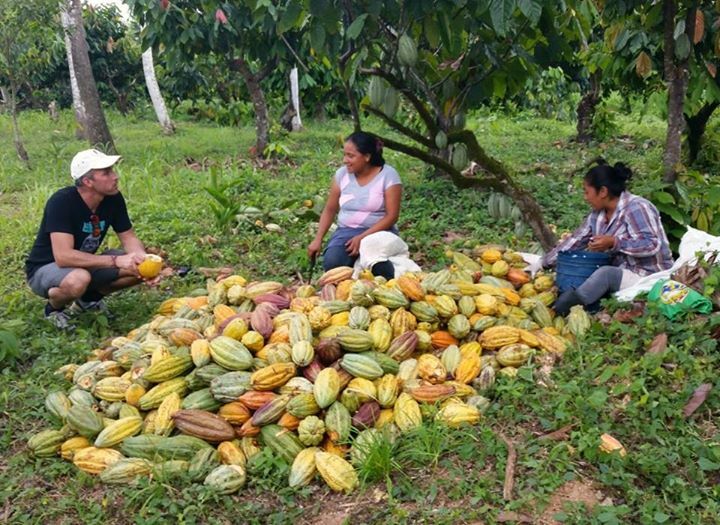 TCHO’s chief chocolate maker, Brad Kintzer, gives a brief overview of how these Flavor Labs create a mutually beneficial direct trade system for TCHO. Besides giving their farmers access to Flavor Labs, TCHO gives their famers strategies to improve their cacao. For example, fermentation and drying are crucial stages in cacao processing where most of the flavor profile is determined (Presilla, 108). While most farmers don’t have access to extensive tools and practices to improve or monitor their fermentation practices, TCHO gives their farmers tools to measure variables such as pH, temperature, and Brix (TCHOSource, 2017). Interestingly, these are some of the exact measurements for high-quality cacao that were missing from Taza Direct Trade’s commitments. TCHO continues to follow their farmers through cacao processing and helps them set up solar drying stations to reduce the moisture in the beans and to continue developing flavor (TCHOSource, 2017). Finally, TCHO gives their farmers a cloud-based software, Cropster, that allows them to upload their data concerning fermentation, drying, and flavor so that they can track their cacao and so TCHO can communicate with their farmers and give them adjustments as conditions change (TCHOSource, 2017). Cropster confronts Taza Direct Trade’s requirement that company staff visit farmers yearly to ensure direct relationships. Is it necessary for TCHO staff to visit their farmers yearly if they are communicating through Cropster almost daily? Similarly, if the farmers have been trained in the Flavor Labs and have the tools to improve their cacao themselves, what is TCHO’s role when they visit? TCHO’s business model takes away the need to visit their farmers yearly, pushing back against Taza Direct Trade’s limited and rigid definition of direct trade. TCHO’s technology-based model also allows them to have far more direct trade relationships, an argued weakness of direct trade in general (Martin, Lecture 10). Not only does TCHO have more direct trade relationships than Taza, but they also span more of the cacao producing region worldwide. While Taza is confined to South America, TCHO has farmers across South America, Ghana, and Madagascar (TCHOSource, 2017). TCHO’s model makes their farmers more independent, sustainable, and profitable, a key goal of direct trade and ethical sourcing, but also gives TCHO access to the highest quality beans. Overall, Taza and TCHO both accomplish the key tenets of direct trade. They have personal relationships with their farmers, pay price premiums, and source high-quality cacao. However, while they are both direct trade companies, they utilize direct trade very differently. While Taza focuses on creating an industry-wide certification program, Taza Direct Trade, TCHO is more company oriented, focusing on the technological advancements they can provide their farmers with. While neither company’s use of direct trade is unambiguously better, TCHO’s direct trade method conflicts with the Taza Direct Trade certification in a way that suggests the interpretation of direct trade is still evolving. Because of this uncertainty, it seems that for today’s direct trade companies, it is less important to create a unified certification program, as Taza is doing, and more important to further explore the beneficial aspects of direct trade. In fact, this may be the reason that no other direct trade company has become Taza Direct Trade certified or created a certification program of their own (About Us, 2015). Altogether, TCHO demonstrates that direct trade is a practice that can provide higher quality beans and increased profitability, signaling that the applications of direct trade expand beyond just an ethical practice. “2016 Transparency Report.” Taza Chocolate, 2015, https://www.tazachocolate.com/pages/2016-transparency-report. Accessed 4 May, 2017. “About Taza.” Taza Chocolate, 2015, https://www.tazachocolate.com/pages/about-taza. Accessed 4 May, 2017. “FAQ.” TCHO, 2017, http://www.tcho.com/faq/. Accessed 4 May, 2017. “Flavor Focus.” TCHO, 2017, http://www.tcho.com/tchois/flavor-focus/. Accessed 4 May, 2017. Martin, Carla. “Lecture 4: Sugar and Cacao.” Aframer 199x. CGIS, Cambridge, MA. 25 Feb., 2017. Lecture. Martin, Carla. “Lecture 10: Alternative Trade and Virtuous Localization/Globalization.” Aframer 199x. CGIS, Cambridge, MA. 5 Apr., 2017. Lecture. Nesto, Bill. “Discovering Terroir in the World of Chocolate.” Gastronomica Vol. 10, No. 1 (Winter 2010), pp. 131-135. Online. Off, Carol. Bitter Chocolate: The Dark Side of the World’s Most Seductive Sweet. The New Press, 2006. “Our Direct Trade Program Commitments.” Taza Chocolate, 2015, https://cdn.shopify.com/s/files/1/0974/7668/files/Taza_DT_Commitments_Aug2015.pdf?2533070453853065353. Accessed 4 May, 2017. “Our Vision.” TCHO, 2017, http://www.tcho.com/tchois/our-vision/. Accessed 4 May, 2017. Stuckey, Barb. Taste What You’re Missing: The Passionate Eater’s Guide to Why Good Food Tastes Good. Free Press, 2012. “TCHOSource.” TCHO, 2017, http://www.tcho.com/tchosource/. Accessed 4 May, 2017. “Taza Chocolate ‘Bean to Bar’.” Taza Chocolate, 2012, https://vimeo.com/33380451. “TCHO Chocolate Factory Tour: How Farmers Help Boost Flavor.” San Francisco Business Times, 2017, http://www.bizjournals.com/sanfrancisco/video/50cTl3dDq8a0Iv_aMWVc9xGlDjkP27XC.